Evening all - my Xantia (P630HAN) coolant tank has decided to split along the seam; so does anyone have a suitable replacement? Part number is 1307HT - and yes its NFP. Have made a few suggestions on FCF, including a repair. A really difficult-to-find part, used on most Xantias. Paul here (citroenxm) may be able to help. Just for correctness, it is not the part used on most Xantias, it is only used on the 2.1TD and V6 engines. All lesser Xantias use a completely different tank in a different location. did you post a request on the French car Forum? those guys have a lot of experience with the Xantia and in the back of my mind i think a few over there may have made a repair to the tank but not sure on that. Either way, you stand a higher chance of success there, both replies above to your question are from FCF members. For the first time, Mike, I have given up on a parts search on cit.service. Checked carefully yesterday through all models Xan I and Xan II, and got a pretty-much blanket use of 1307HT. After your correction, gone back to check, and ALL Xan I showing as 1307FC, and most Xan II as 1307HT. Just done a re-check a few minutes later, and the HT's for Xan II are now largely showing FK. Site quite erratic, despite being used correctly. A part search for 1307HT does indeed show only 2.1 and V6, but 5this isn't confirmed by looking across engine types. You know what's under the bonnet on these, even if Cit don't seem to know this morning! It is a pity that they did not get the engineering quite right, on the V6, they always fail eventually. I know of some cars that went through 3 or 4 in 200,000 miles. 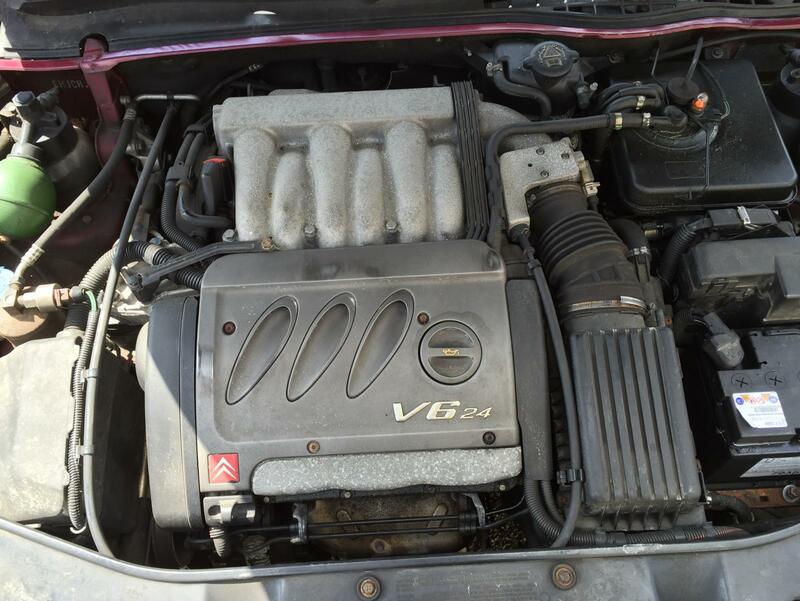 I suspect that the 1.6 litre Xantia (which was never sold in the UK) had the header tank integrated into the radiator (as per the smaller BXs). That last, BX-type arrangement, I remember as being pretty grim. The top of the rad was one sizable air space. On ours (19RD) we fitted an additional exp.tank in roughly the same position as your V6 one. Pressure cap relocated to there, with a blank cap on the rad. Always thought it was a good idea to have these tanks at the highest point! The 1.6i xantia was sold in the UK.. But only very early S1 models.. The tank was on the rad as was the 1.9sd models iirc.. I've a few of the standard tanks but of course being on the inner wing they get little engine heat where the v6 and 2.1 bottles are right in the middle of the heat.. No. I have no v6 bottles.